If you are using Macintosh, you are definitely indebted to Susan Kare, the woman “who gave the Macintosh a smile”. 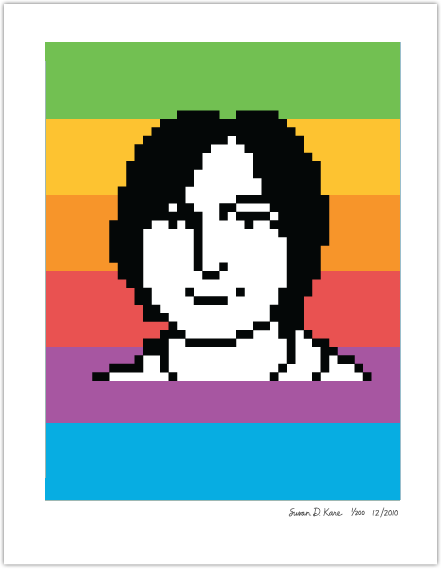 Kare is widely recognized for her iconic design of the early Macintosh computers that defined the Apple user experience and set the industry standard. She is the third designer in our five-part blog series—after Cipe Pineles and April Greiman—about influential woman designers in history. 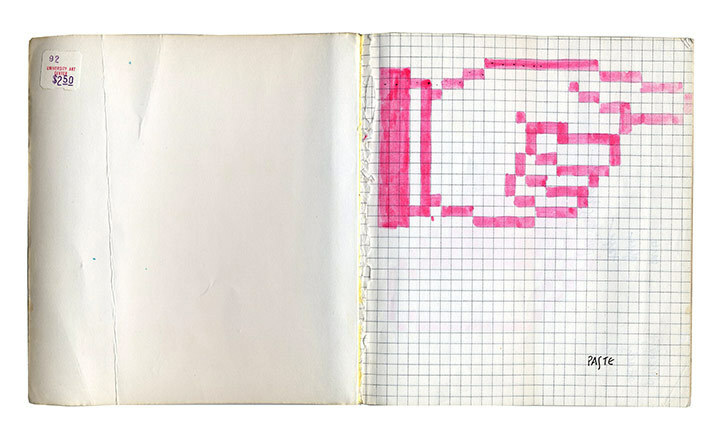 Susan Kare earned a Ph.D. from New York University. After graduation, she traveled west to take a curatorial job at the Fine Arts Museums of San Francisco. She soon moved to Palo Alto—the birthplace of Apple and other Silicon Valley tech titans. Kare joined the Macintosh team at Apple through a recommendation of a high school friend, Andy Hertzfeld, in 1982. Here she was assigned with a daunting task: creating iconographies to make the Macintosh feel like a more approachable, friendly workstation, and less like a machine. Being the first affordable nontechnical computer for regular consumers, the Macintosh icons needed to be universally inviting and intuitive to use. Since Kare had no prior experience working in the digital realm, she instead utilized her skills with mosaics, needlepoint, and pointillism during the sketching process. 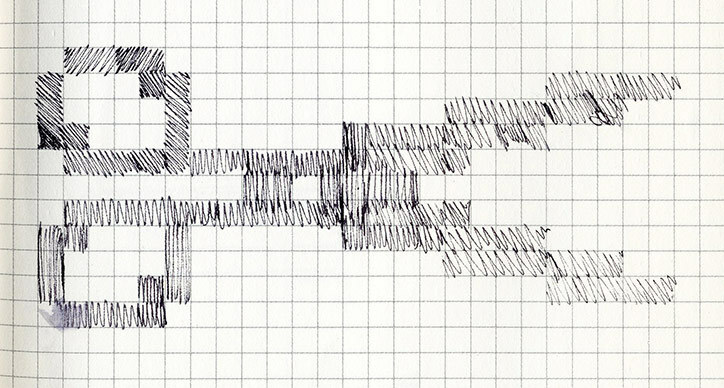 She drew out a 32-by-32 grid that has a total of 1,024 squares. Each one represented a pixel as a way to mimic the bit-mapped display of the early Apple interface. 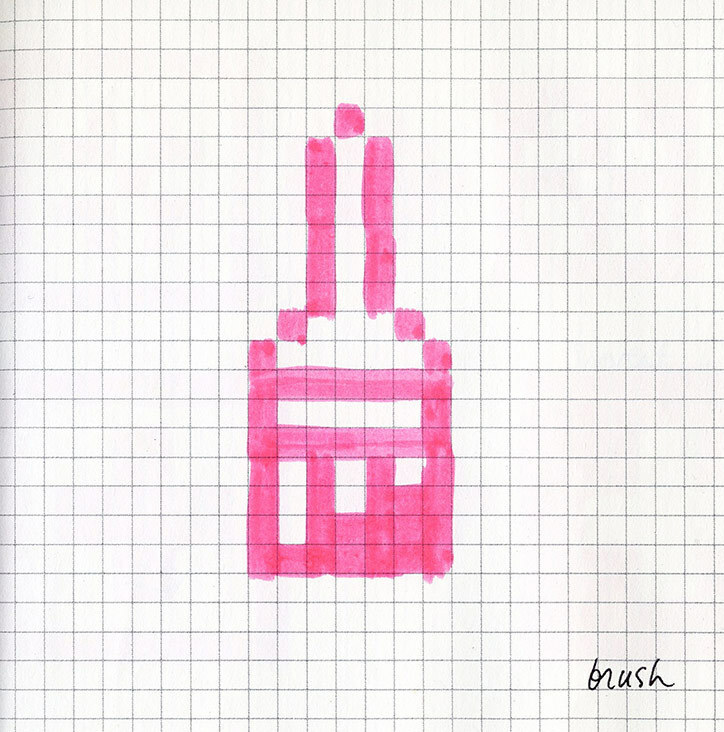 Then, she proceeded to hand-drew the design of early Apple icons, one by one, pixel by pixel. Kare’s icons encompass a great sense of intelligence, everlasting wit, and humanity with the perfect balance between simplicity and abstraction. She always created with her own touch of whimsicality and freethinking spirit. These make her designs remain memorable until this day. You can see examples of this in some of her most well-known icons. One of these is the “Happy Mac” icon, a smiling Mac computer that appeared to greet its user every time it opened. Also, the “Clarus the Dogcow” icon created as part of the Cairo font. And last the most memorable of them all: the Command button (⌘), which was inspired by the architectural framework of Swedish campgrounds. Besides her leading work in icon design, Kare was also a trailblazer for creating the user-interface digital typefaces for Apple. Some of her notable creations include Geneva, the original monospace Monaco, and Chicago. 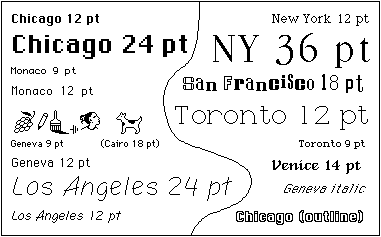 The latter was one of the most prominently-used typefaces in classic Mac OS interfaces from 1984 to 1999. By limiting to only horizontal, vertical or 45-degree lines, she was able to avoid the jagged and pixelated look of the previous monospace computer typefaces. 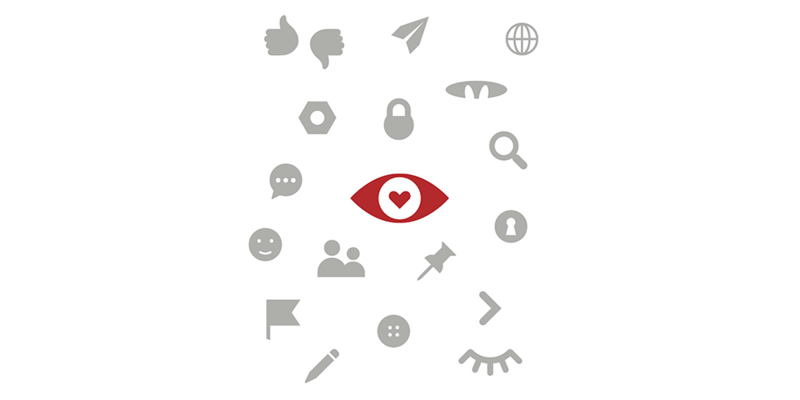 In 1998, Kare opened her own firm, Susan Kare Design which she still operates until this day. Throughout her career, she has adapted to the everchanging flow of technology and digital design software. She has maintained a design philosophy that strictly ties to the notion of simplicity, clarity, and beauty. This philosophy has continued to stay relevant through the digital age, where the web is heavily polluted with visual clutter and chaos. 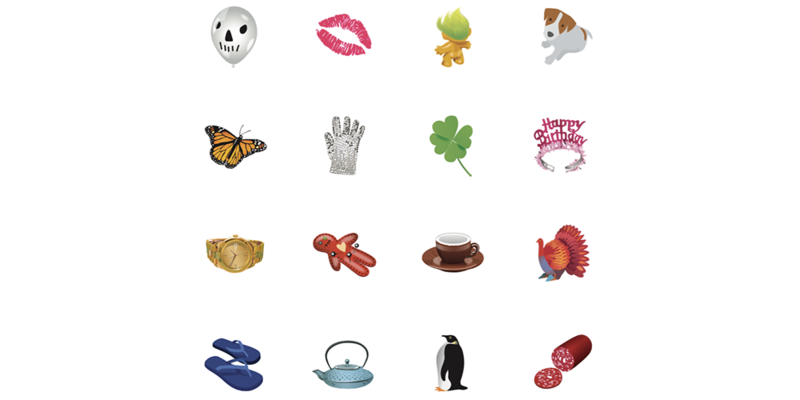 Her list of clients includes Microsoft, Intel, IBM, Motorola, and Sony Pictures and Facebook—where she has designed numerous icons for virtual gifts. She currently works as a creative director at Pinterest. Her collection of iconography has been featured at the many museums, including the National Museum of American History, MoMA, and the New Mexico Museum of Natural History and Science in Albuquerque. 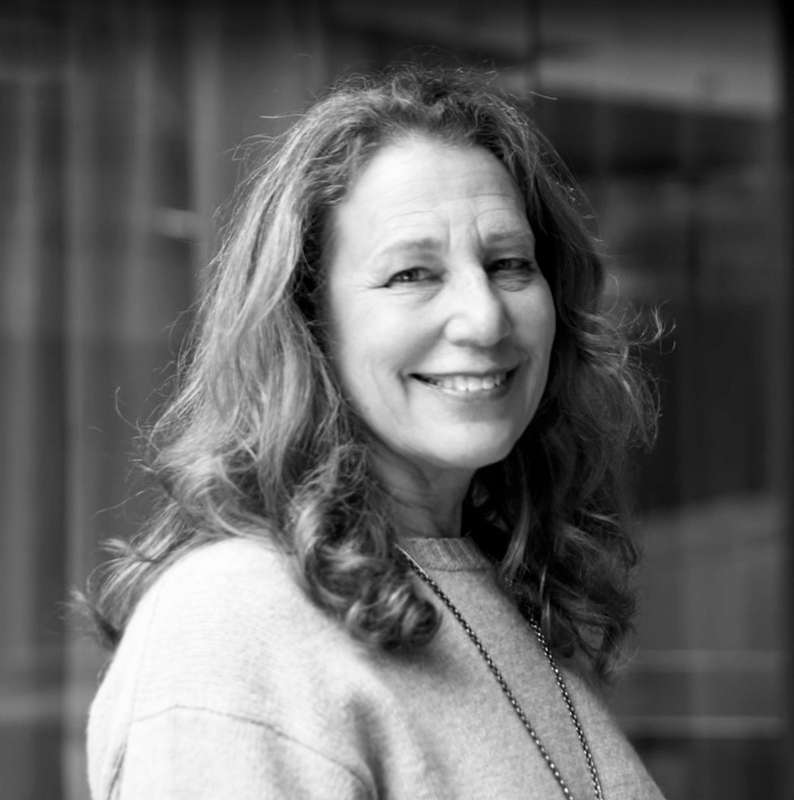 Susan Kare was honored for her work on April 20th, 2018 with the prestigious AIGA medal, placing her name next to the company of many design titans like Paul Rand, Charles and Ray Eames, Milton Glaser and Saul Steinberg. Will you remember the now-an-icon-herself Susan Kare and her impactful legacy on the world of Macintosh the next time you hit the Command symbol (⌘) on your Mac keyboard? Because I definitely will.